A recent article from the National Pest Management Association reminds us that although the weather turns cooler in Fall, it brings a new list of home pest control problems, because cold weather brings everyone indoors. Pests such as cockroaches, ants and some species of spiders have life cycles longer than a year, meaning they need to find shelter during the winter to survive. These pests can pose serious risks to both people and homes. Cockroaches can contaminate stored food, leave droppings around the home and trigger allergic asthma, especially in children. On top of all that, some spiders commonly found around homes are poisonous. Screen attic vents and openings to chimneys, and any other areas where homes may be open to the outdoors, like mail slots and animal doors. Keep basements, attics and crawl spaces well ventilated and dry. Pests are attracted to areas of moisture, something they need to survive. Seal cracks and crevices on the outside of the home using caulk and steel wool. Replace weather-stripping and repair loose mortar around the foundation and windows. Store any outside items at least 20 feet away from the house and keep shrubbery well trimmed. Removing areas where pests can hide near your home can reduce the chance of them finding a way inside. Install door sweeps and repair damaged screens. Torn window screens and cracks under doors are an ideal entry point for household pests. Inspect items such as boxes of decorations, package deliveries, and grocery bags before bringing them indoors. Pests can find creative ways to get inside a home. Avoid leaving pets’ food dishes out for long periods of time. Pests don’t discriminate between people food and cat food. Have a proper outdoor drainage system. Installing gutters or repairing an existing system will help draw water and moisture away from your home, preventing any leaks or build up that might attract pests. The best way to protect your home and prevent any type of pest infestation during the winter is to follow these pest-proofing tips in the fall when the temperature begins to drop. 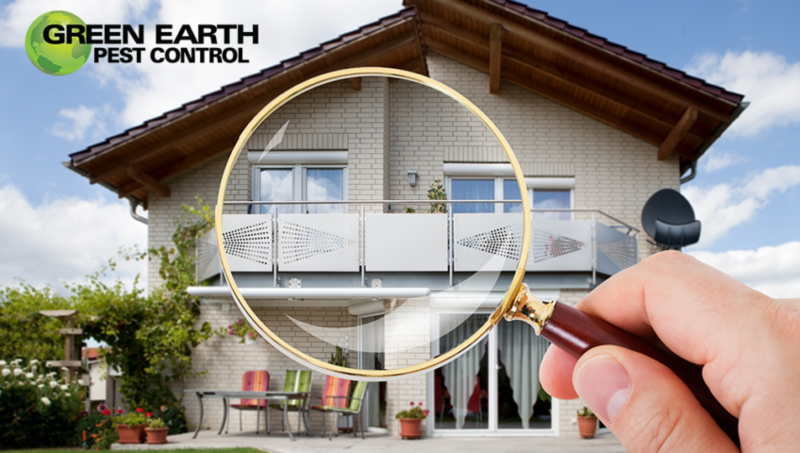 Call us at Green Earth Pest Control to help you prepare for Fall home pest control.